MICHIGAN MINI EDITIONS NOW AVAILABLE! We now have 7 Michigan Mini Editions. These half-cards (7 courses each) feature golf courses in SW Michigan and Kalamazoo. These are very limited-edition cards. While supplies last! Just click on the "COUPON CARDS" tab and check them out! 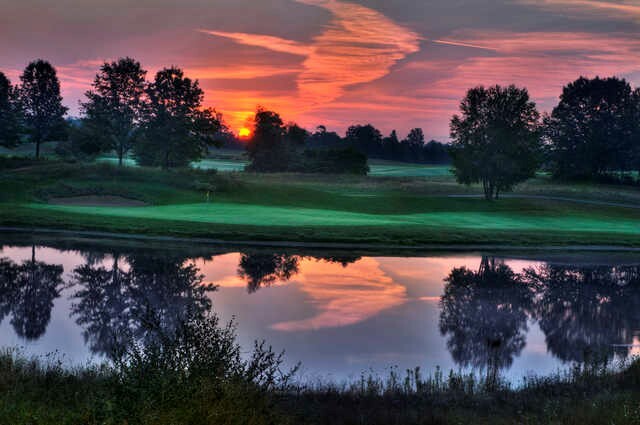 Golf Michiana - Play Over 30 of the Area’s Best Golf Courses! We have the best deals (no matter what you hear and see on TV) for Michiana golfers! 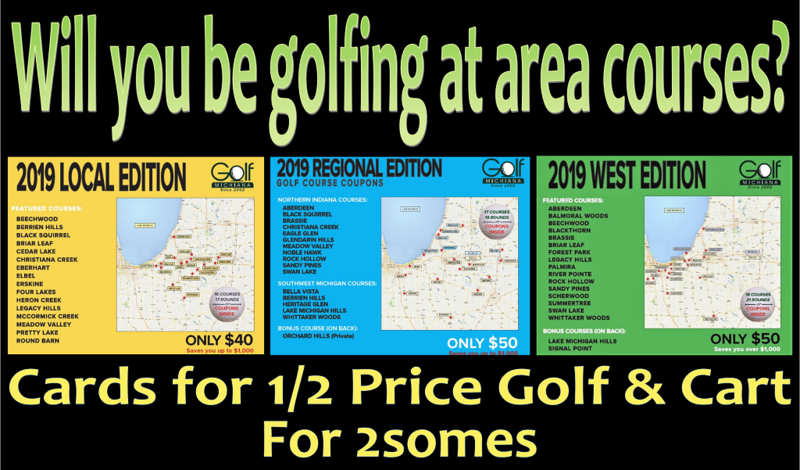 Looking for great golf deals at courses in Northern Indiana or Southwest Michigan? Try us, you'll like us. This is our 20th year providing golf course coupons to golfers in the area. Go ahead and compare, we dare ya! Be informed. Don't fall for the hype on the commercials you may have been bombarded with. 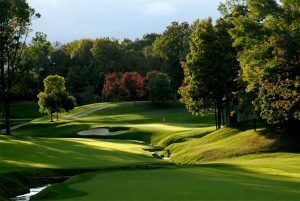 Click here to compare the differences between our Golf Michiana coupon cards and with Local Golf Passport. We're so confident you'll choose us, we'll even provide you a link to them to compare. We'll be glad you did! Fore! The Local Edition, the West Edition, and the Regional Edition are now ready! You can order your golf coupon cards (and "Sip Happens" wine card) by going to the "Shop" or "Order Yours" buttons. Check out Brew-Pon by clicking on the tab on the coupon cards drop-down menu (or here). You may now Pre-Order your Brew-Pon card(s). All Brew-Pon orders will be sent in time for Valentines Day in case you wanted to buy yourself something nice. **Check our events calendar page for area golf shows!